Are You Hiding Too?| Muse Portrait Sessions in Evergreen, Colorado. This past weekend I was at a fundraiser event for my children’s school. I donated a Muse Session for the live auction (and it did great! so pleased and love helping to support a great cause). While I do realize that, on a certain level, she was joking, it still hit my heart. We are the things we do – ironing, cleaning, our 9-5 job, grocery shopping, driving kids around town, supporting them at their various sporting events. We question our worth and our specialness. We find it easier to just go with the flow, do what needs to be done, do what the world expects of us. We feel good about it because we’re fitting a mold and being a good citizen. But ( you knew there was a but), is it living your whole truth? Are you taking advantage of your God-given gifts? Your talents? What you love to do? Or are those things being put aside, waiting for kids to get older, waiting to have more time? Or maybe that was just something that you were only meant to do when you were younger? Now you’re just too old and need to give up on those wild-youth dreams. Water under the bridge, etc. While I’m not going to tell you to give up your current life – drop everything and go chase your dream!! I won’t say that, because you are where you are now for a reason. You’ve made a series of choices that brings you where you are at this moment and that has value and should be honored. But I will ask you to rethink (RETHINK) the idea that what you love should take a backseat, feeling like it needs to wait for another time and another place to exist. Bring the special things back into your day. Think about what you love to do and what you have loved to do. Think about what you were doing when you felt time fly by, while you were absolutely consumed with joy. Maybe you need to travel back in time a bit further than you thought to pull up those feelings. Grabbing a paper and pen and writing anything that comes to mind may help you pull your thoughts together. Now think about that special thing and about how you can PULL IT BACK INTO YOUR LIFE, EVEN ON A VERY SMALL SCALE. It doesn’t have to be reasonable or make sense, just let your heart have some time and attention to tell you what it wants. Immediately take action. Right now create a chunk of time to make this happen in the next 24 hours. Make a plan to bring your magic back. You can borrow my wand if you want. 😉 Seriously, get creative here. There are many nooks and crannies of time hiding in our days. Reserve one of those for taking care of this. If you’re ready to move forward and to shine yourself a little brighter you’ll find a way to make it happen. Obstacles and excuses will melt away. Go get ’em. Here’s to the first step. I’d love to hear about what you love….. Dancing, writing, walking with friends, traveling, getting back to nature, telling stories, teaching, painting?…. Please share with me in the comments below (you may have to click on the title above to make the comments visible). P.P.S. Like this type of self-discovery and want to dig a little deeper? I highly recommend The Big Leap by Gay Hendricks. I want to have total freedom from one place. I want to be able to work a little from anywhere and be able to support more adventure, travel, discovery. I want to disconnect from all this comfy stuff i have in order to travel around the country, world, most of the time. Maybe in an RV. it may be a 12 year plan but sometimes i feel i just want to go see something new all the time, take off, see new places! I’m too young to retire but maybe we can find a new way to live more and work less. That is what’s been on my mind, swirling around like a big storm that’s gonna happen. I LOVE that Carmen! Is there a way to keep working while you have the freedom to roll (or fly) (or kayak :-)) where you want to go? If your business doesn’t allow for it now, is there a way to change your business (I’m assuming you love what you do) so that it would allow for it? Could you either restructure the business model or delegate portions of it? With all the possibilities of the internet and e-contact, could you create a way for much – if not all – of your business to be web-based? yes! yes! and yes! The thing is my job is perfect for this kind of thing. I can work from anywhere, anytime. Esp since I have a good assistant now, I can delegate a lot to her while I’m on the road. Funny thing is is that Tim’s job is perfect for this too for the future. He can travel/work with me now but we love going to far off remote places in the wild so we’ll have to figure out a system to connect from afar. We have friends that are younger than us that are about to quit jobs to do this now. We read a blog called Wheeling It and this couple is also about our age’ish and they travel in an RV with 2 cats and a dog. She blogs and he is an investor. It can be done…but so much planning is involved. You need a Carmen-o-matic for when you have to be totally off-the-grid. 🙂 Between assistants (plural?…) and creating an annual schedule with timing that allows you to be offline at certain times, you could totally do that! Follow your wanderlust! That’s so awesome that you’re thinking this way. You’ll have to blog too! I’m currently not feeling the crazy-travel bug, but I love that my work can be mobile as well. I have a colleague that has 4 or 5 children, many of them small, and they go out in their RV for months at a time and she shoots portrait sessions as she goes. It’s so inspiring seeing people living their ‘far-fetched’ dreams. Exactly! I believe I can do anything, live any way because I’ve done it already a couple of times with moving to Colorado without a job and then to start my biz as a rep without a customer or anything to sell. It’s that leap of faith which is what you were doing when I first met you!! we could make a business out of it…hmmm. yes, we need to do lunch sometime. Or wine. 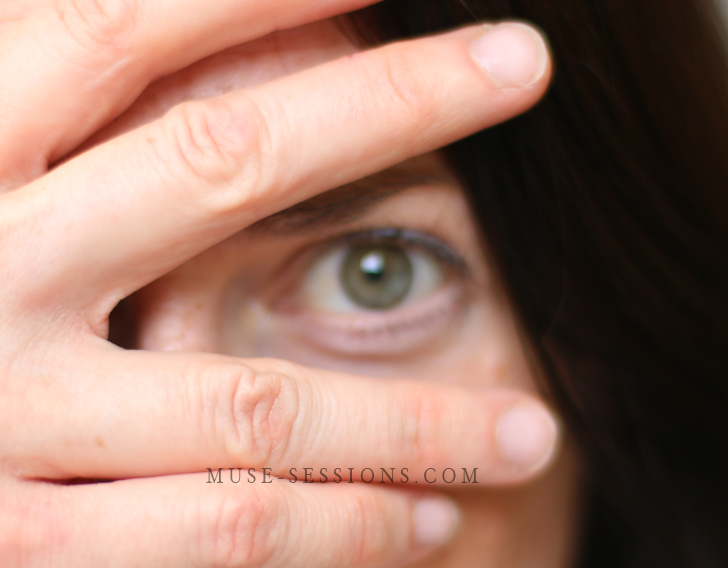 Enter your email address to follow the Muse Sesions blog and receive notifications of new posts by email.